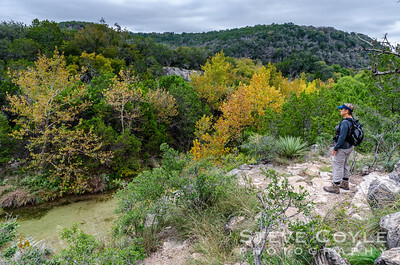 The gray, dead trees on this bluff in Colorado Bend State Park really exemplify the affect the multi-year drought has had on the Texas Hill Country. 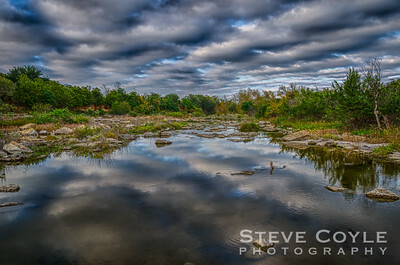 Before the recent rains, this part of the river had very little water in it from some one of the photos I saw on the state park website. I love walks in the woods, especially in the fall as the leaves are changing. 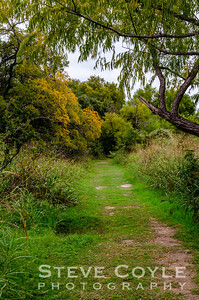 Got this shot as we were returning to our car after hiking to Spicewood Springs in Colorado Bend State Park. It's not the fantastic colors of other areas of the country, but for Texas, it's not too bad. 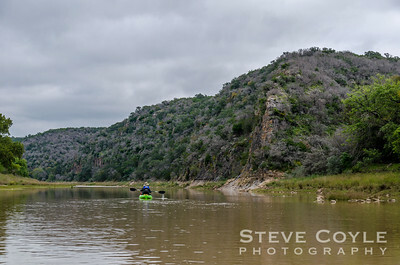 Took this shot on a low water crossing while leaving Colorado Bend State Park one fall weekend. First time at the park in many years. Captured this shot as we were leaving the park and it's one of my favorites from the outing. The clouds were beginning to break up after being socked in all day. Made for a great last minute capture to end the day.